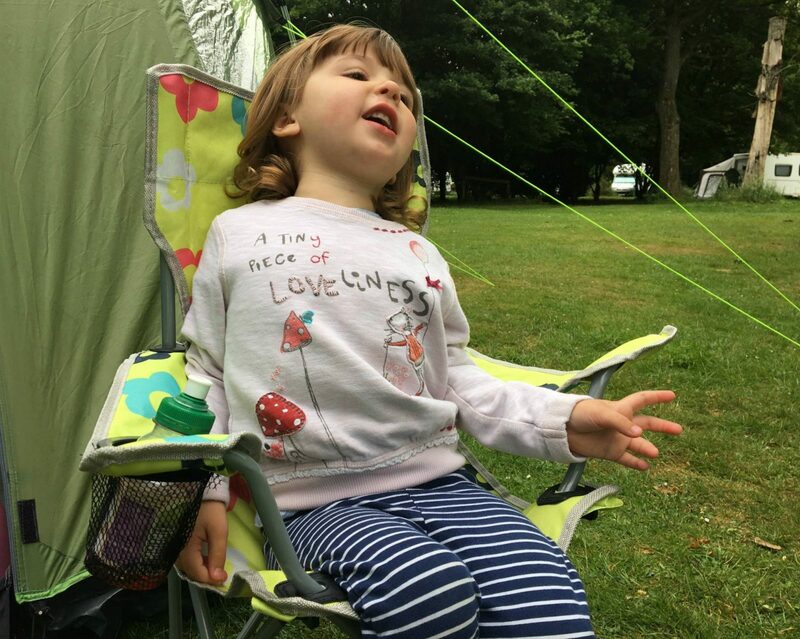 Surviving Our First Family Camping Trip…Home From Home! To be honest I was more than happy for him to go off on his camping trip, as I had never been camping before and wasn’t sure if it was my thing. We then decided to buy a tent in the sale one winter thinking that we would go camping the following year. 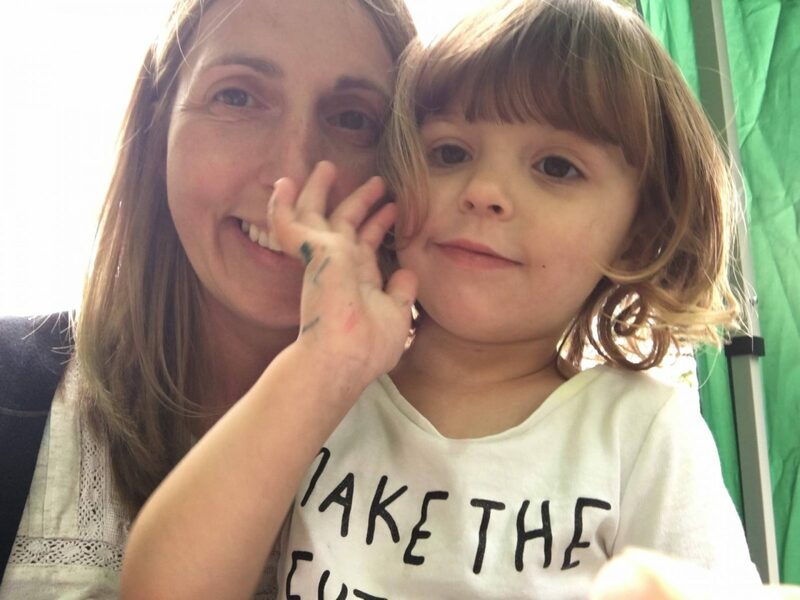 However that never happened as I got pregnant with Alice and our camping plans went on hold and our tent stayed in the attic unused. Last year we planned to go camping with a group of friends and we brought some more camping equipment that we needed. Then Alice got chicken pox and we couldn’t go. She took it really well and we promised her we would go next year. Fast forward a year and the camping trip was in the diary. The girls couldn’t wait and Alice kept saying she hoped she didn’t get chicken pox again, bless her. I started to plan what we would need and even though we were only going for one night, you still need to take everything with you. Thankfully we borrowed a roof box from our friends to fit everything in. When planning our trip there were a few things that I knew would be important. Trying to make a home from home experience for the girls, as we all know children love things that are familiar to them. I was a bit worried about what I was going to feed Holly, she is ok with breakfast and lunch. But for dinner she can be a bit fussy and not even that really, she just doesn’t seem hungry at this time of day. With this already a worry at home, I thought how was I going to feed her in the middle of a field! To my delight it appears that you can cook pretty much anything whilst camping and the camping stoves that are available, are not the camping stoves that I had envisaged in my head. They are a bit more sophisticated and easy to carry too. And you can boil a kettle on it for that very important coffee in the morning. Yes, I needed this! 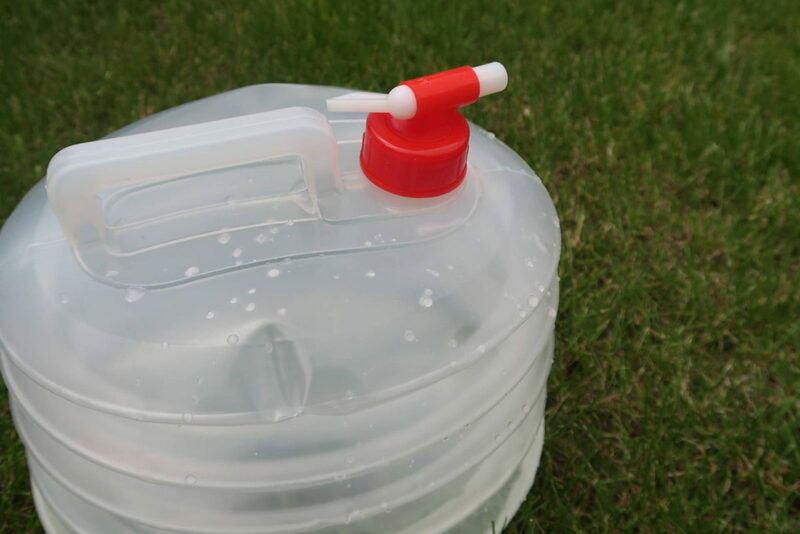 What I loved when getting prepared for our camping trip, is all the quirky camping equipment you can buy. I mean who knew you could get a water bottle that could be folded down flat to take up less room. My friend had a washing up bowl that did the same, which was amazing and going on my list for next time. I must be getting old, if this excites me! Because we brought our tent 5 years ago and hadn’t used it, I thought the layout of it was actually different to what it turned out to be. It wasn’t a problem and was probably better for us now and as the girls get older. My sister in law gave us a blow up bed that she had for Holly to use, as it has sides so she couldn’t roll out. She loved it and when we first arrived we couldn’t get her out of it. She kept wanting to show people her bed, which was very cute. And she was obsessed with the lamp. We kept them near us at night, in case we needed them. Our friends had brought along a barbecue, which was perfect and who doesn’t love a barbecue? (apart from Holly, but we shall ignore that, as she doesn’t like most things!) We did have far too many sausages for the amount of people, but better than not having enough. I just love our bunting range of plates, mugs and bowls, they have a real summer feel to them. And no camping trip is complete without melting marshmallows on the bbq. Our friend was all prepared, with marshmallows, mini kinder chocolate bars and digestive biscuits. 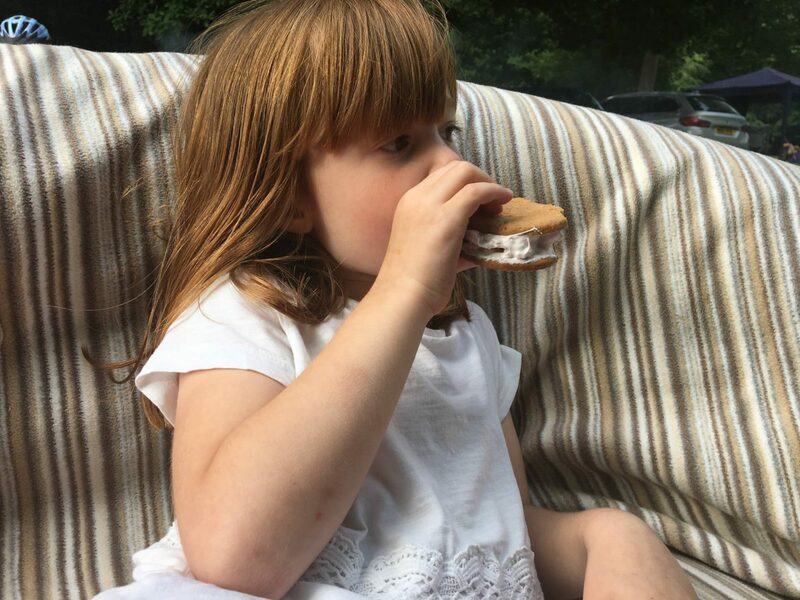 You have to melt the chocolate, melt your marshmallows on the skewers and then you sandwich the marshmallows and chocolate between two digestive biscuits. Alice loved making hers and enjoyed eating it even more. It was a bit too much for her to manage, so I may have helped her out with finishing it off! It was so lovely to spend this time with the girls, with no demands of everyday life. I even just sat and chatted with my friends, with a glass of wine in my hand. While the men entertained the children. It was just nice and chilled out. After dinner and to try and burn off the last of the children’s energy before bed, we went for a walk. 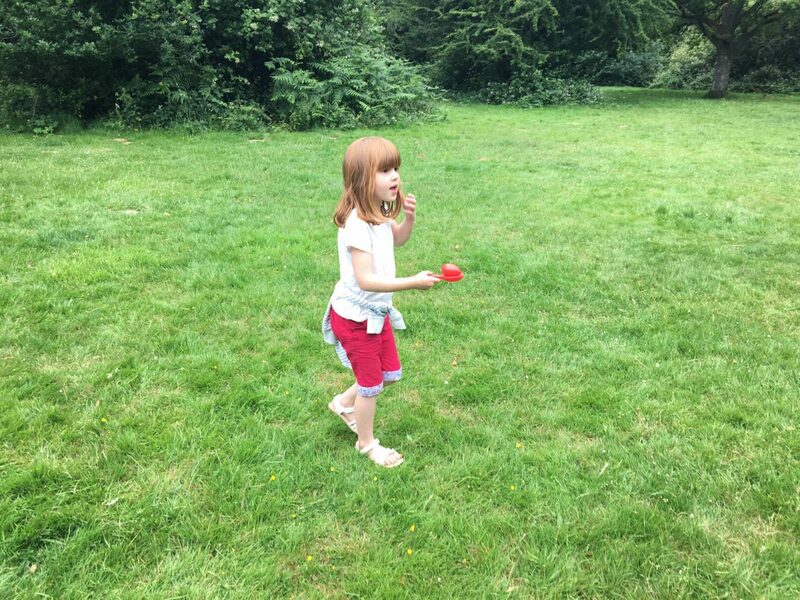 I had taken along an egg and spoon race set and they loved having races with it. Of course my little Alice had to do it properly and took her time to get to the end. It was then time for them to all get changed into their onesie’s and have a glass of milk before bed. I was really impressed that all the children happily went off to their own tents. Mind you Alice had been so excited all day about the actual sleeping part of camping. 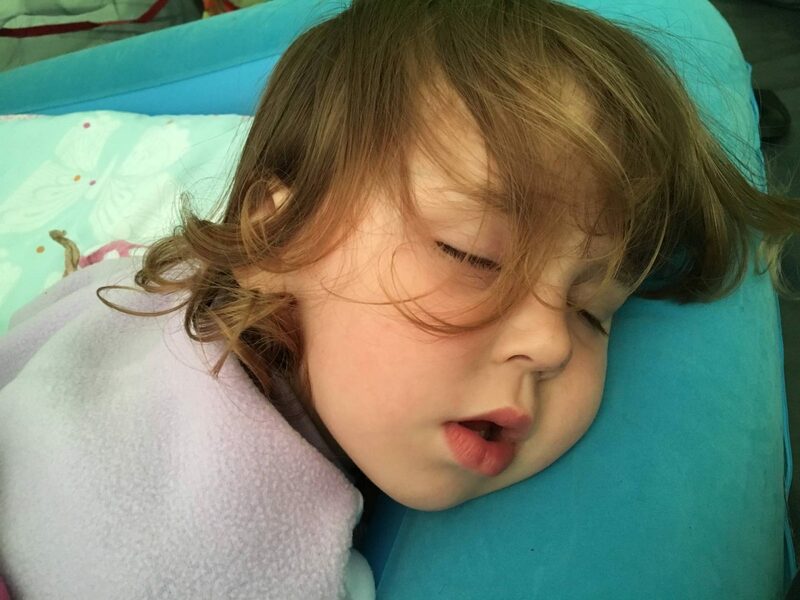 We definitely did a good job at tiring out Holly as she fell asleep during story time and we didn’t hear a peep from her for the next 11 hours. 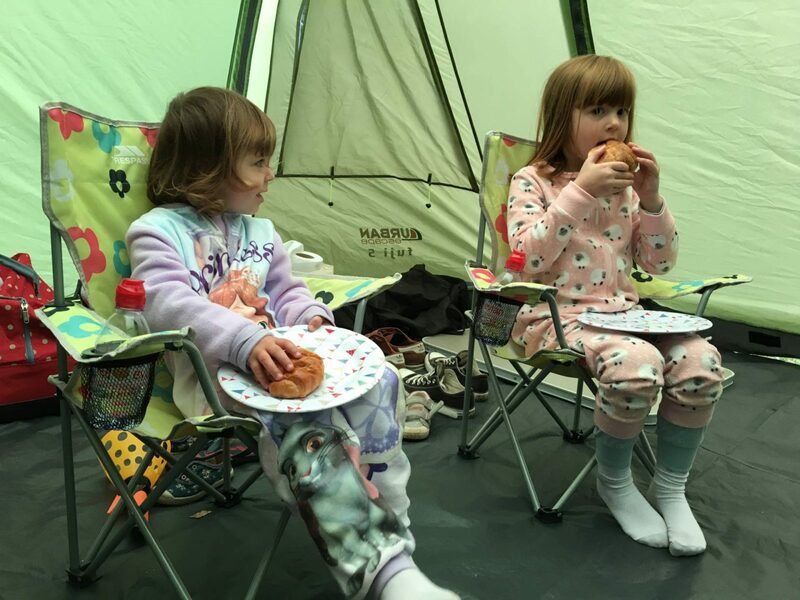 With the girls awake and hungry, it was brilliant to have space in the tent for them to sit and have a croissant without disturbing the rest of the camp. I would say that this is the only breakfast Alice ate. But a bit later on our friends made pancakes and you would’ve thought that Alice had never tasted them before. As she ate 4 pancakes with maple syrup and is now asking me to make some at the weekend. The big question is, did I enjoy my first camping experience? Surprisingly I did, I really liked going with our friends. Having some time to sit and chat, without day to day life getting in the way. I loved seeing all the children having fun and getting on so well. Of course it massively helped that we had perfect camping weather. It was dry and not too hot. I just loved the freedom it gives you. And the second big question is, will we be going camping again? Definitely! 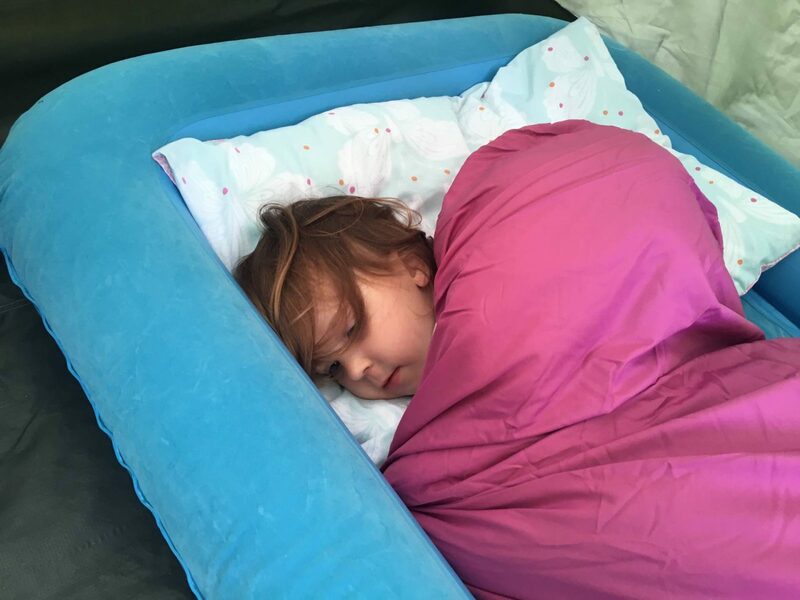 I can see camping becoming part of our lives, especially as the girls get older. I love the idea that we can just throw everything in the car and go somewhere for the weekend. Of course when I say ‘throw’, what I really mean is pack it carefully making sure every bit of space is utilised. It’s like a game of Tetris! One thing though…next time we buy camp beds, I won’t be sharing a double blow up bed again with Andy! Disclosure: This is a collaborative post with Millets and we were kindly sent some products featured. They look like they had a lot of fun! I am hoping to take my boys camping this summer and it will be their first one as well. Wow, you really were well equipped! I’m so glad you enjoyed your camping trip. 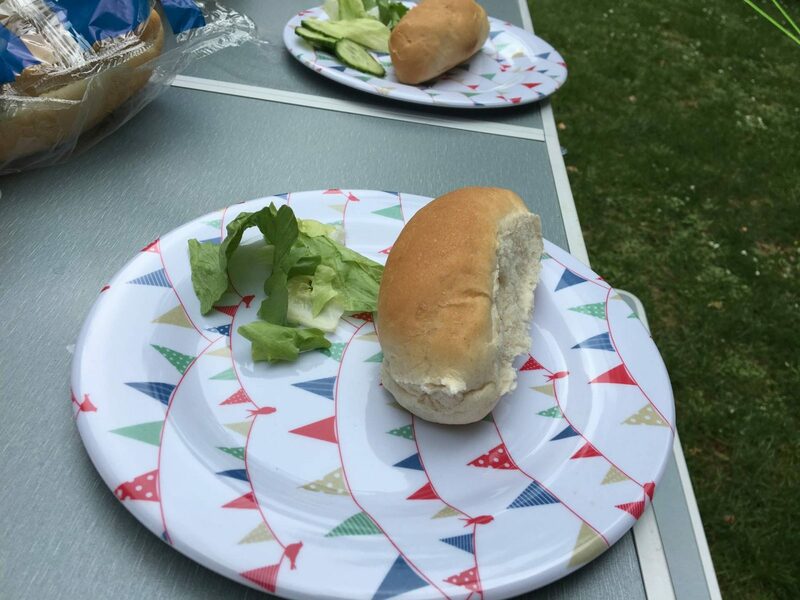 I love those plates with the bunting on, perfect for camping! 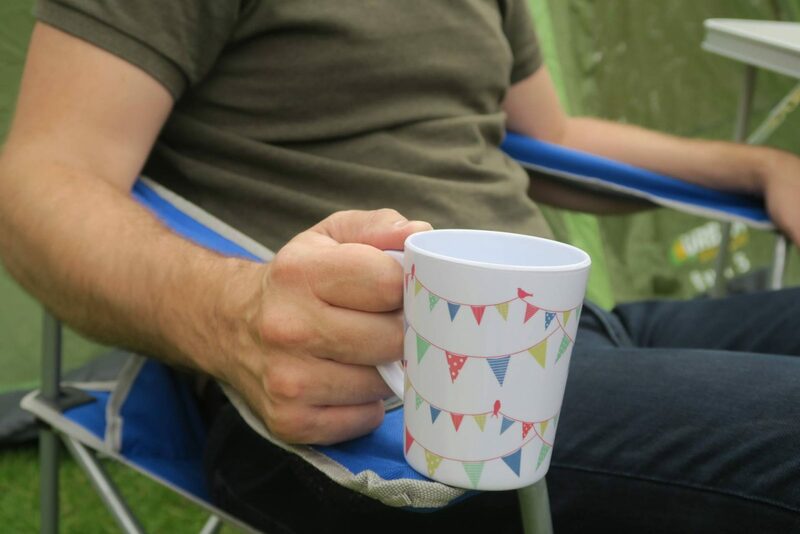 We are really into camping, so much that I’m considering a trip to a campsite with no phone signal – for 10 days!! Ahh it looks like you had so much fun! I really want to take my four camping (I may live to regret that!!) as we had some amazing camping holidays when we were younger! 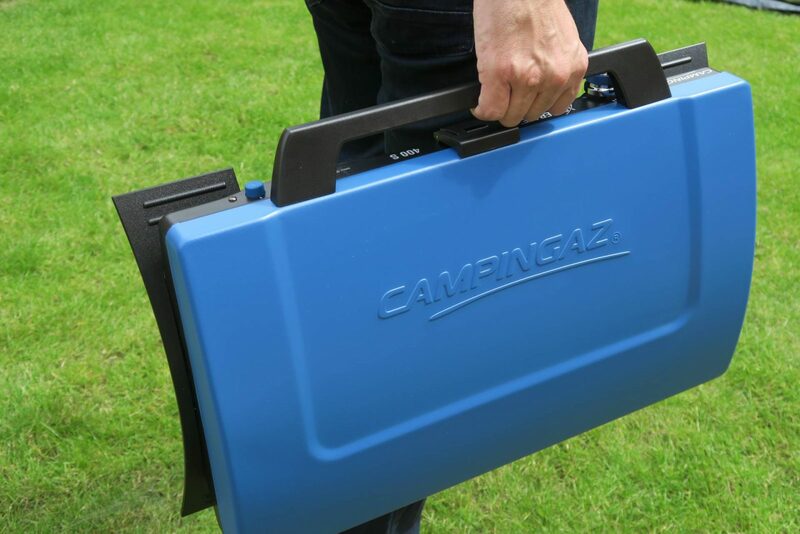 The camping stove is a must have, I’m not sure I could cope without a few little luxuries. It looks like the girls really enjoyed themselves! Lol. I hate airbeds, but I was sent one last year and it’s preferable to sleeping on a thermomat which now I’m older gives me backache. The only issue is that N always crawls on to the airbed with me. This year I need to get him his own. It looks like you had an amazing time. I would love to take my kids camping as I know they will love it. It’s on the cards for next year as our 20 months old doesn’t sit still. It sounds like a lovely time camping. We have a tent but need to sort out bedding before we go on our adventures in Summer. The lamp looks great and marshmallows sound great! It looks like you had a great time. 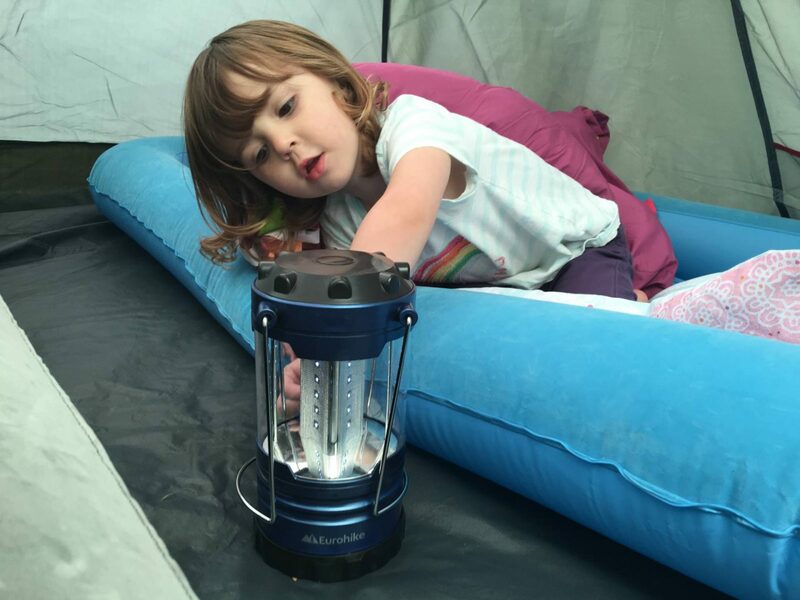 I really want to try camping with my daughter! Wow, it looks as if you all had a fantastic time. Some of the best childhood memories I have are camping with my Nan and Grandad, it was just the best time. I think this is something I have to pluck up the courage to do with my daughter, I have become accustomed to my comforts! I so need to update our camping equipment. It makes such a difference when you have the proper gear!